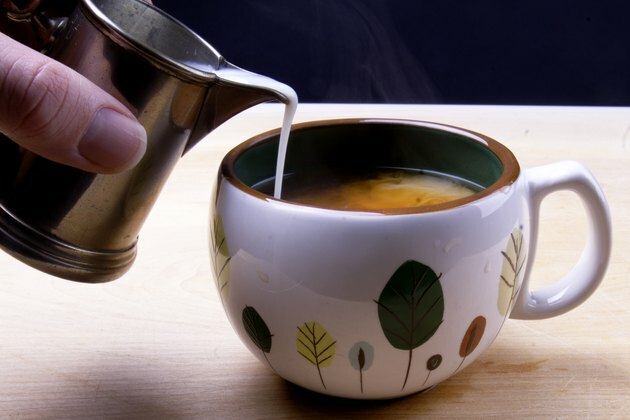 A hot cup of tea may be just what you need if you have an upset stomach. The herbs in some teas have a calming effect, but the reason behind your abdominal pain or nausea is important in selecting the right type of tea. Consult your doctor before trying herbal remedies to diagnosis the cause of your abdominal discomfort. 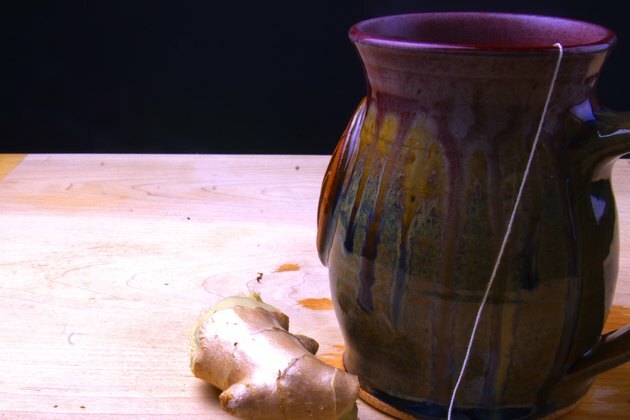 Ginger tea may settle the stomach when taken for indigestion, nausea or abdominal gas. According to the University of Maryland Medical Center, studies indicate that ginger can decrease the symptoms of motion sickness. Ginger does not treat motion sickness as well as medications, but it could decrease vomiting. Ginger is believed to reduce nausea and vomiting in pregnant women, and possibly the time and severity of nausea in chemotherapy patients. 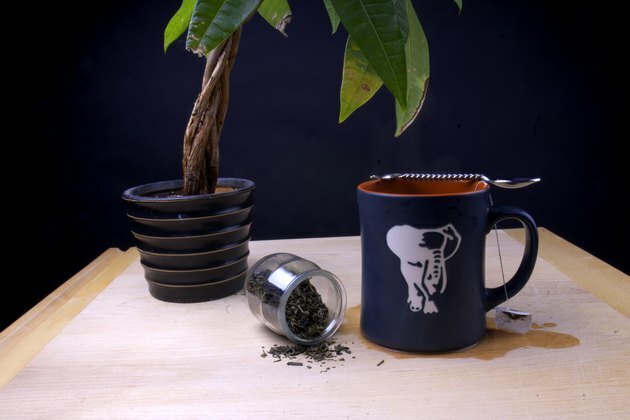 Peppermint tea is used to settle the stomach and aid digestion, and it may help improve nausea, menstrual cramps and flatulence, according to the University of Maryland Medical Center. Ingesting peppermint soothes the stomach muscles and increases bile flow, allowing your body to better digest fat and pass food through the stomach quickly. The muscle relaxation also aids abdominal gas to pass out of the body. 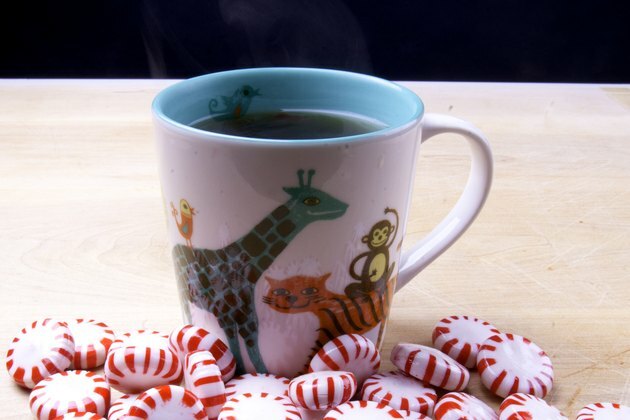 Peppermint tea is usually safe, but is contraindicated in people with gastroesophageal reflux disease. GERD is characterized by a backup of stomach acid in the esophagus, the tube that runs from the throat to the stomach. Chamomile is commonly recommended for gastrointestinal troubles, according to an article on the Reader's Digest website. Chamomile possesses anti-inflammatory, antispasmodic and carminative properties, which means it can soothe the intestinal wall. Drinking chamomile tea may relieve gas and promote relaxation, which could reduce abdominal discomfort due to anxiety and stress. Chamomile is a gentle herb and usually well tolerated, but if you are allergic or sensitive to triggers like chrysanthemums and ragweed, taking chamomile could cause allergic reactions. According to the American Cancer Society, throat swelling, rashes, trouble breathing, abdominal cramps and death are potential chamomile reactions. Licorice root can be used to make teas that may be beneficial for your stomach. The University of Maryland Medical Center states that licorice may help protect you from stomach ulcers when you take it with aspirin, particularly licorice that does not contain an extract called glycyrrhizin. Licorice could help prevent ulcers due to a protective effect on the cells that line your stomach, according to the New York University Langone Medical Center. Using antacids and licorice without glycyrrhizin may also help treat stomach ulcers. Peptic ulcers -- including stomach ulcers -- are known to cause abdominal pain, bloating and indigestion.